Say goodbye to the winter snow and hop into spring with our Lemon Fresh Pedicure. Our Citrus Blend “Pedi Bomb” and our Lemongrass scrub and lotion make this a must have this season. 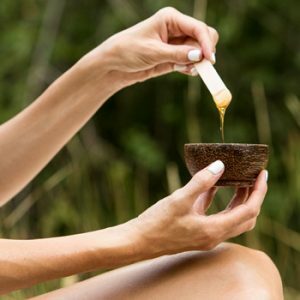 A booster is a targeted formula that hones in on specific skin issues by harnessing the unique properties and benefits of particular ingredients, which are often used in higher concentrations. Boosters can prove to be your secret weapon for taking customization to the next level and enhancing results. This all-natural bath soak is made with both French Gray Sea Salt and Himalayan Salt. French Gray Sea Salt will balance your skin and is extremely hydrating and nourishing. 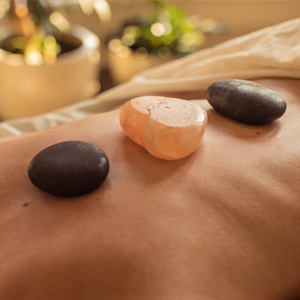 Himalayan Salt is used to detoxify and reduce muscle cramps. The added CBD in our bath soak will act as a “booster” for these benefits! The CBD will also help to further the repair of skin cells, relieve sore muscles or joint pain, deepen the relaxation effects and assist in detoxing and fighting off colds. $50 Single. $80 Couple’s Soak. Our Bath Rituals will provide a precious refuge from life’s daily stressors. Relax & rejuvenate mind, body & spirit in gentle, healing waters. Our Body Rituals have been designed for the most discriminating spa-goers. 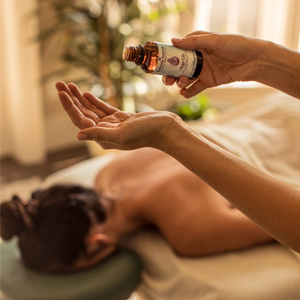 Each treatment combines a unique blend of natural ingredients & ancient techniques to rejuvenate and refine your body, mind & spirit. A full body massage with Body Butter, saturated with nourishing oils & extracts. Then a heated wrap maximizes absorption. Our luxurious couple’s rooms and suites feature side-by-side massage tables perfect for enjoying a massage together. Each guest can choose their own massage or enjoy the same type together, each of you with an individual massage therapist catering to your specific needs. 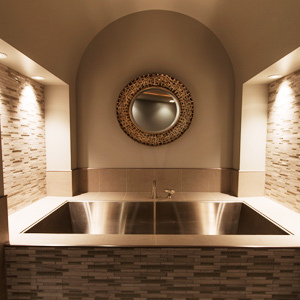 All of our spas feature couple suites with soaking tubs for two, an optional pre-massage soak is the perfect way to prepare your mind, body and spirit. Choose two Massage Rituals done in our side-by-side massage rooms. *price equals cost of 2 Massage Rituals. We suggest pairing this with the Couple’s Soak. Couple’s Soak and side-by-side massages in our cozy couple’s suite. Take the time to relax & reconnect as you enjoy a sampling of local tastes. 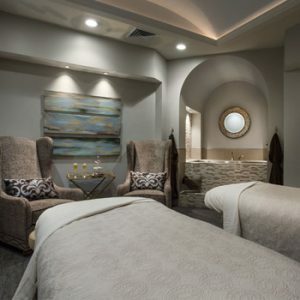 Couples Soak and Classic Couple’s Massage 60 Minutes, followed by a 60 Minute Gentlemen’s Facial for Him and a 60 Minute Signature Facial for Her. This luxurious package is completed with Essentials Pedicures together. You will learn how to create a relaxing environment at home, how to drape (using sheets to expose the area being worked), basic massage strokes, how to use proper techniques and how to massage without getting tired. $145 per couple. Price includes a two hour private session with one of our Licensed Massage Therapists. A professionally prescribed skin care program is vital to maintaining healthy, vibrant skin. We searched the world over to find the highest quality skin care products to help you look and feel your best. 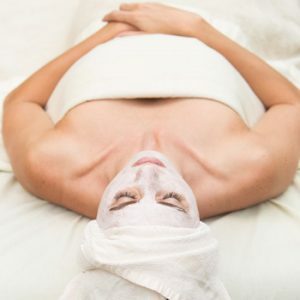 Relax and unwind as our skilled Master Esthetician rejuvenates and refines your skin’s texture, helping to slow the effects of time. $25 value will be applied toward makeup purchased at the time of consultation. A firming, vitalizing and line reducing treatment for tired eyes, will also decrease puffiness and dark circles. For centuries massage has soothed the soul, strengthened the body and clarified the mind. Select from our collection of modalities and the duration that best suits your individual needs. Can’t decide? This service includes a Classic Massage as well as Reflexology, Cranial Sacral Therapy, and an introduction to Hot Stone Massage. ** Sego Lily’s Licensed Massage Therapists are often trained in other modalities of bodywork. If there is something you have in mind that you don’t see, please ask! Your body is changing and experiencing unique stresses and strains. Our therapists are trained in maternity massage techniques to relax and relieve the aches and pains experienced by expectant mothers. Your nails are expertly shaped, cuticles tended, and feet exfoliated and lovingly massaged, then polished to perfection. For those who receive regular pedicures and are in need of a pick-me-up. Enjoy a luxurious creamy scrub to smooth skin and a mineral-rich hydrating cream to massage and revitalize feet. A warm paraffin dip and polish of your choice completes this wonderful pedicure experience. We’ve paired some of our favorite treatments so all you have to do is relax. Classic Massage 60 minutes & an Essentials Pedicure. Soothing Soak, Classic Massage 60 minutes, Organic Harvest Facial 60 minutes, and an Essentials Pedicure. Couples Soak and Classic Couple’s Massage 60 Minutes, followed by a 60 Minute Facial for Him and a 60 Minute Signature Facial for Her. 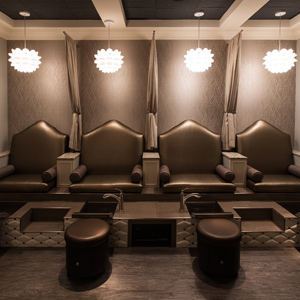 This luxurious package is completed with Essentials Pedicures together. This package includes a Signature Body Polish, Classic Massage 60 Minutes, Organic Harvest Facial 60 Minutes, and a Seasonal Pedicure. Enjoy a Maternity Massage 60 minute, Signature Facial 60 minute, and Sego Lily Essentials Pedicure. The perfect escape for mom to recharge! Book any 3 regularly priced services to receive 10% off, book 4 or more to receive 15% off. Discount already built into seasonal specials and Sego Lily Retreats. Upgrades/enhancements do not count as a treatment. Book any 3 regularly priced services to receive 10% off, book 4 or more to receive 15% off. Discount already built into seasonal specials and Sego Lily Retreats. Upgrades do not count as a treatment.